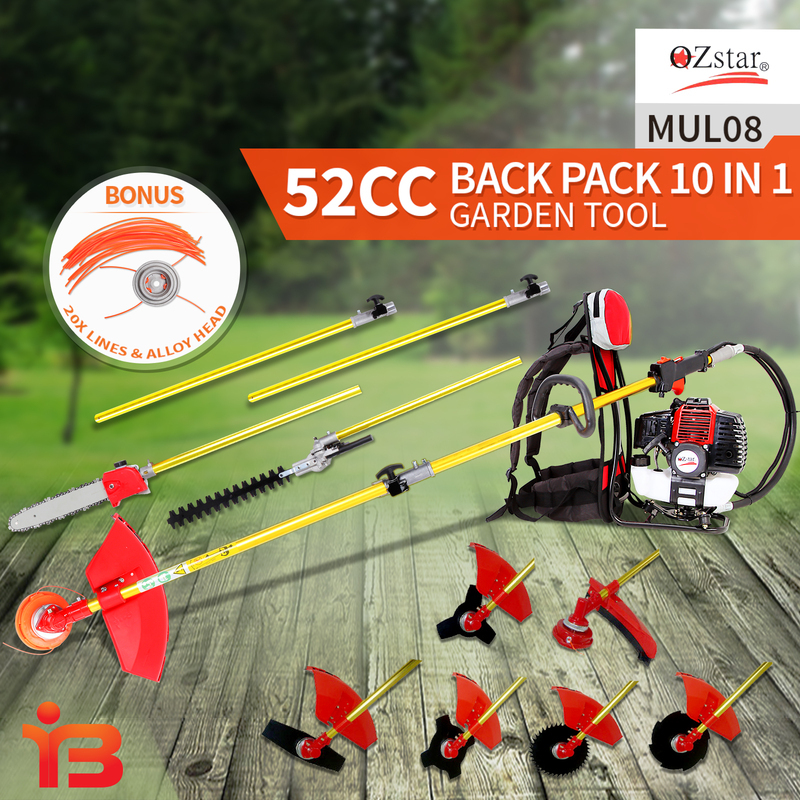 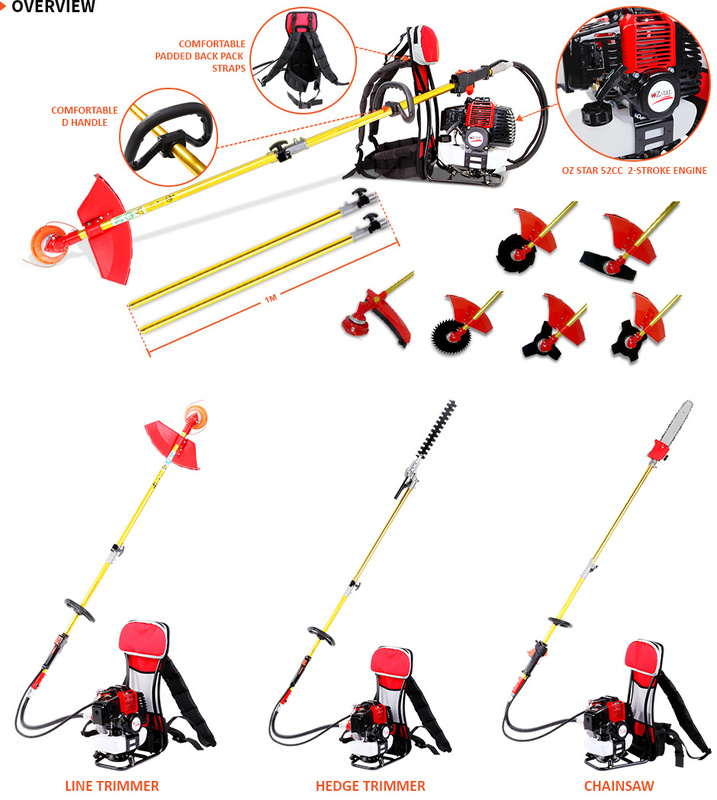 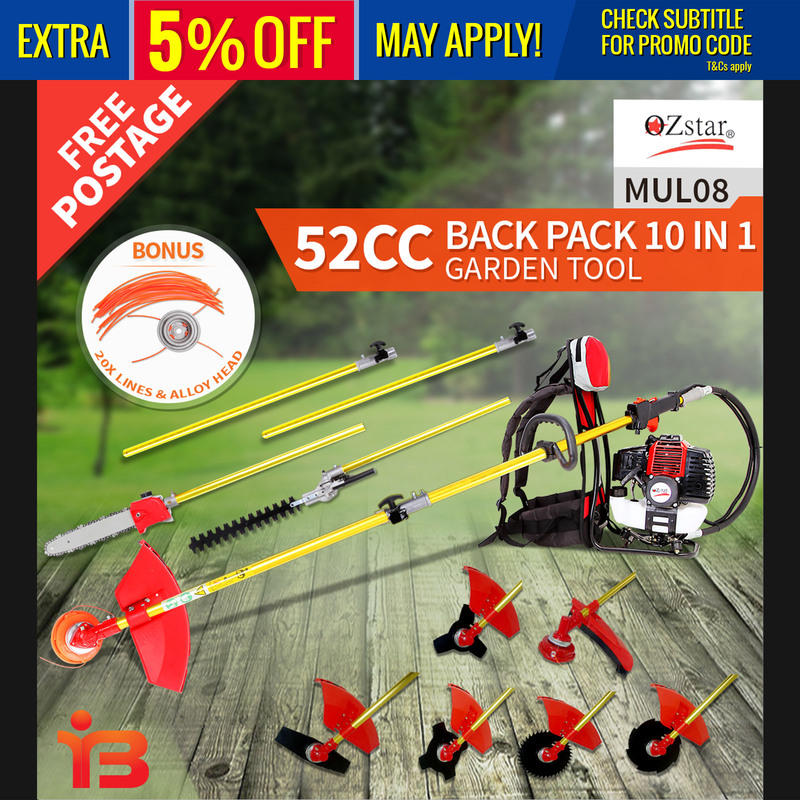 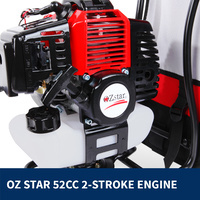 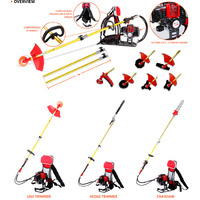 Introducing the all new commercial grade 10-in-1 OZ Star MUL08, 52cc multi functional power garden tool! To keep any garden neat and orderly, this new professional 10-in-1 Multi functional tool is the perfect choice. 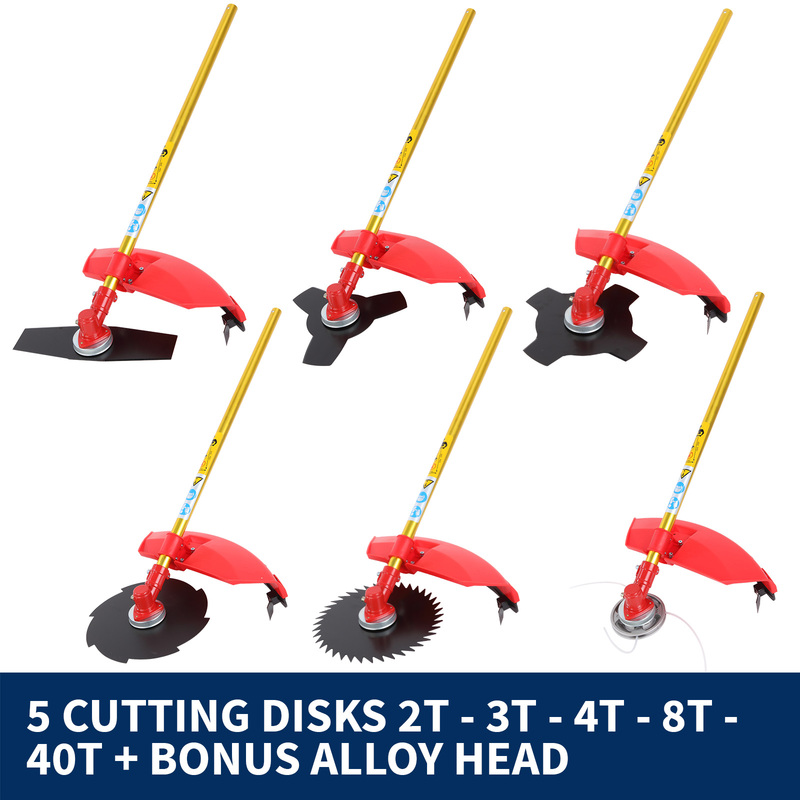 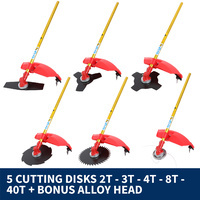 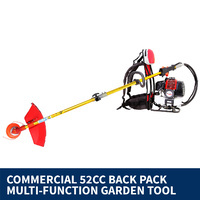 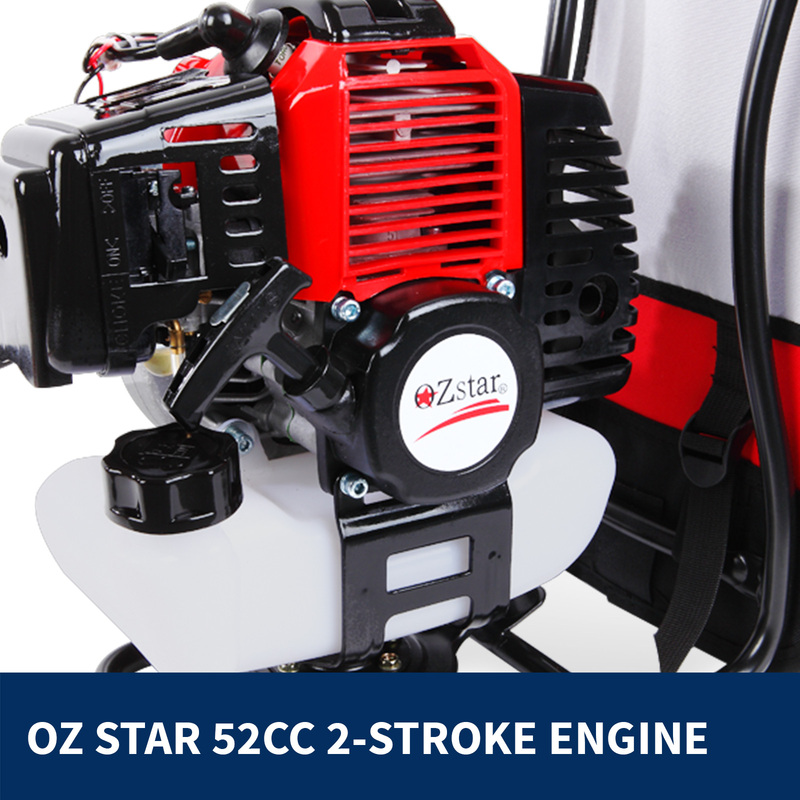 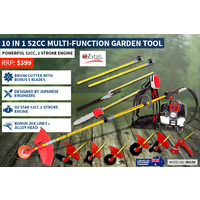 This 10-in-1 Multi function garden tool is equipped with a very powerful 52cc, 2 Stroke Engine that resourcefully delivers a powerful and consistent performance. This 10-in-1 Multi function garden tool is lightweight and comes with genuine NAK oil seal. 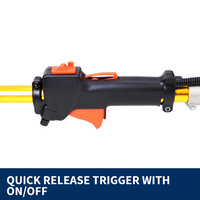 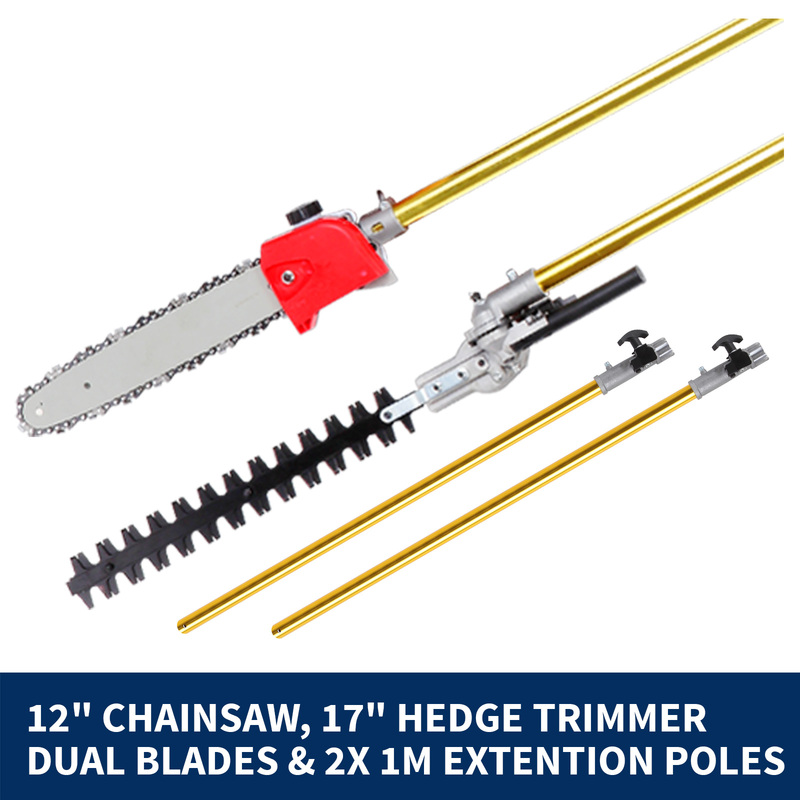 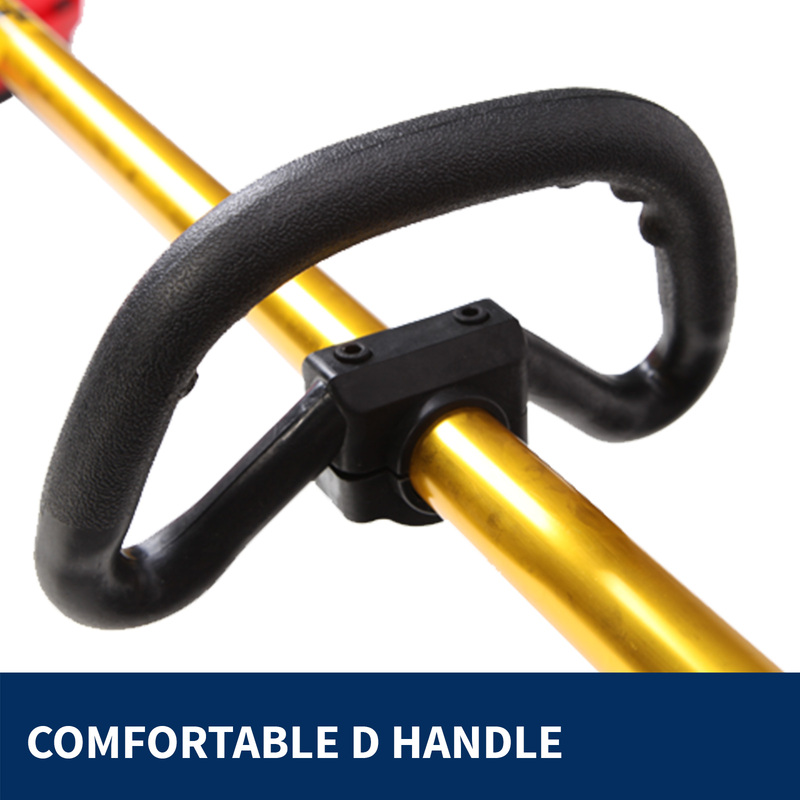 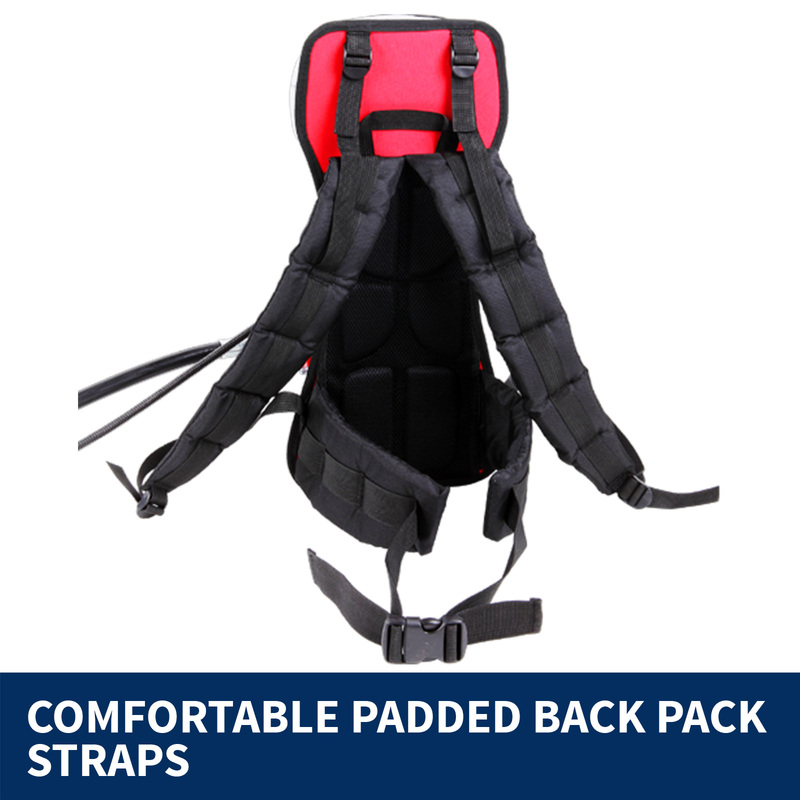 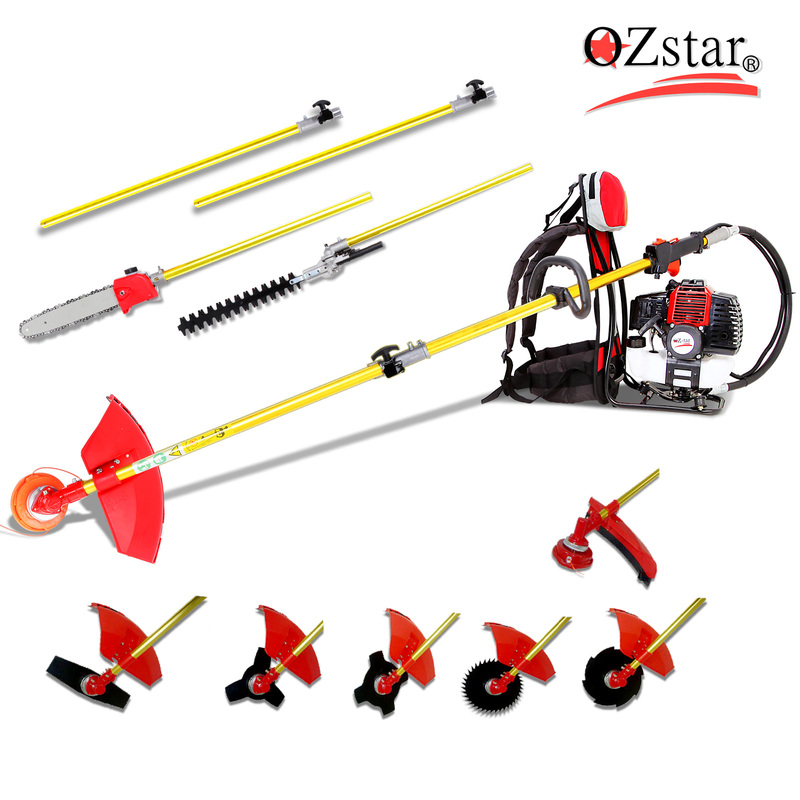 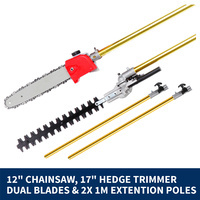 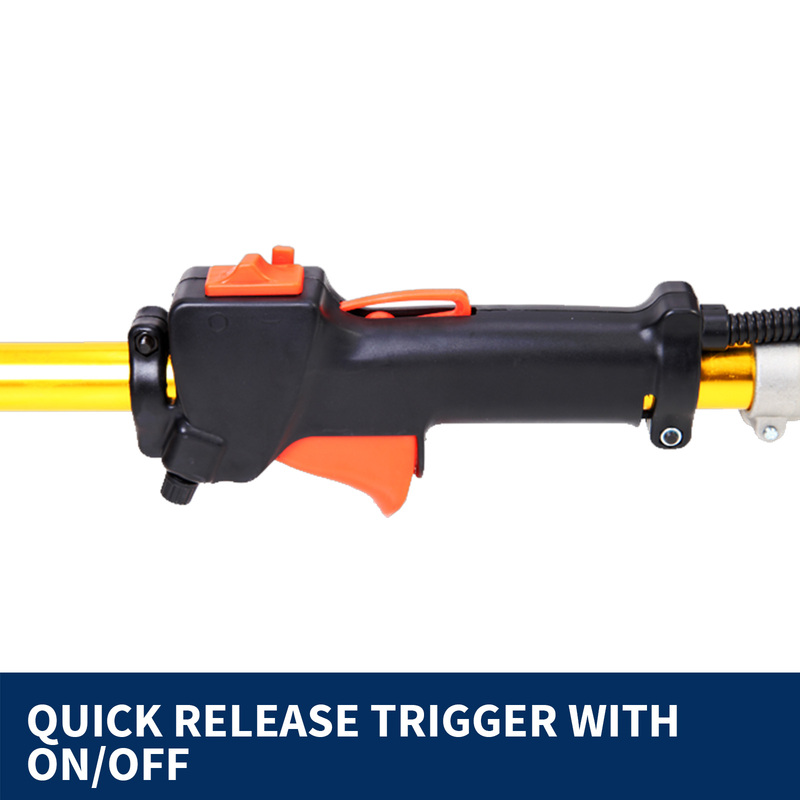 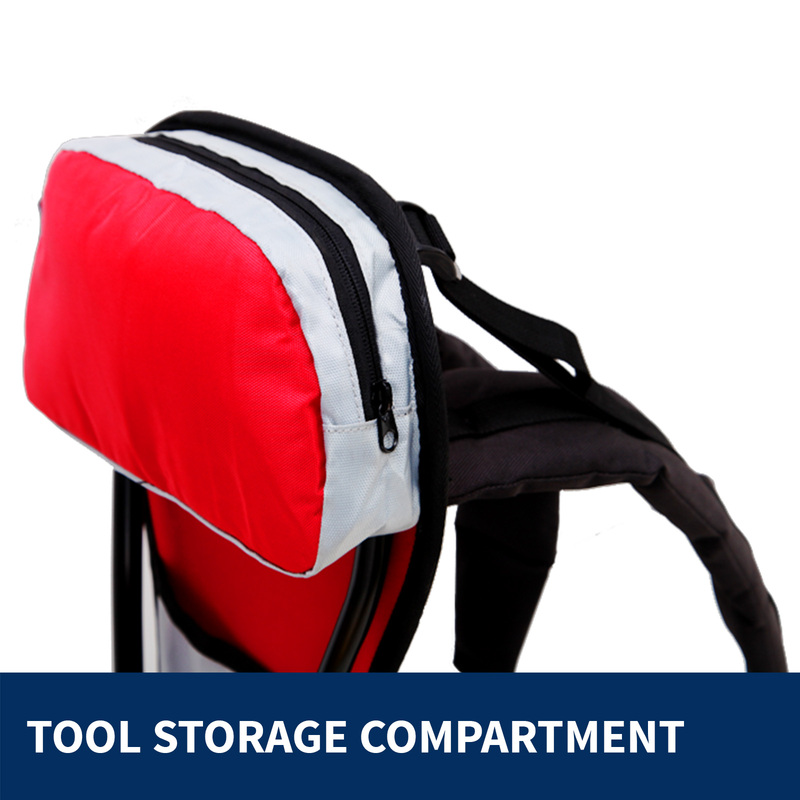 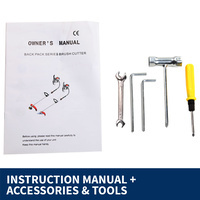 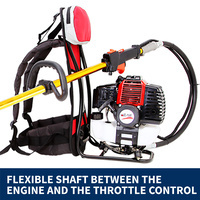 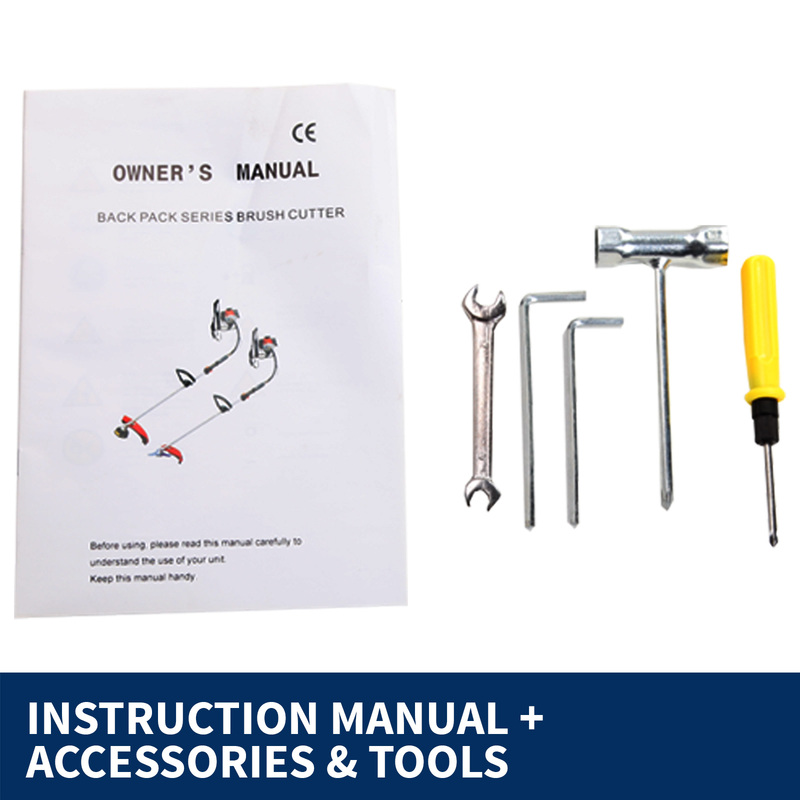 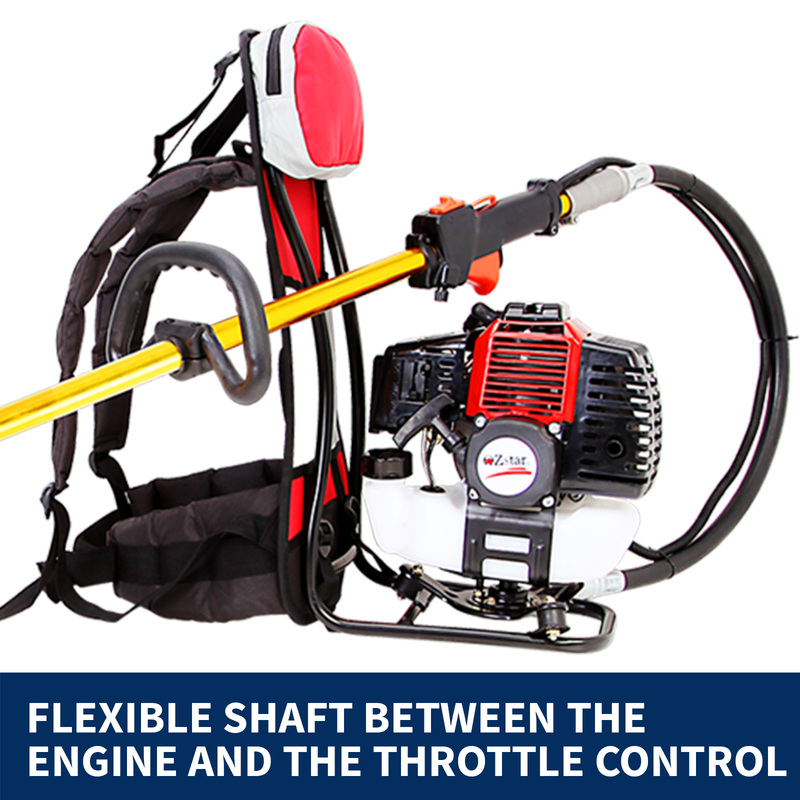 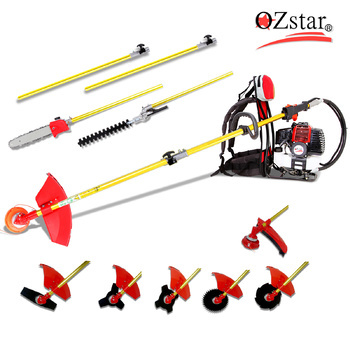 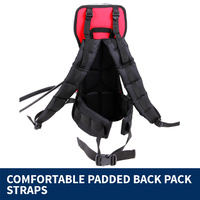 What’s more, this tool contains long reach extensions that can be extended from 2M, 3M and 4M. 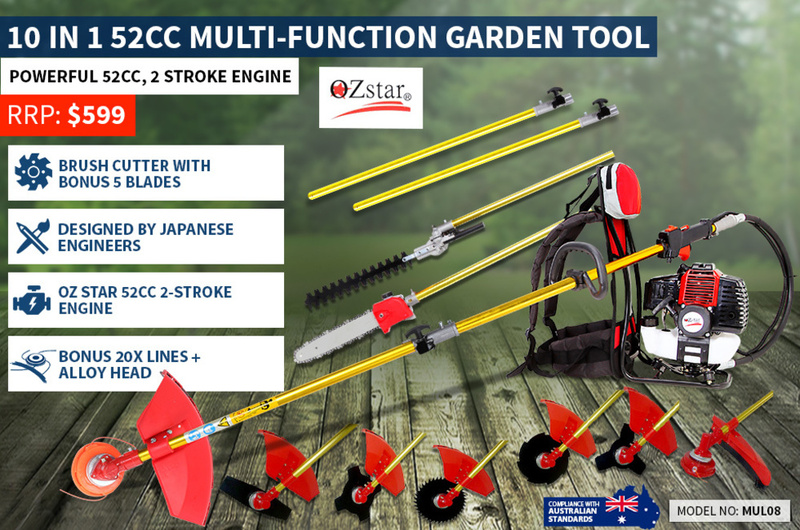 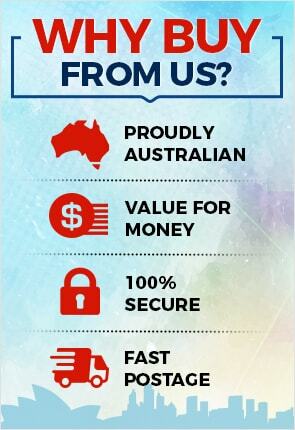 Buy your 10-in-1 Multi functional garden tool today and effortlessly maintain your garden or lawn!